Can I Keep My Tax Refund When I File For Bankruptcy? There are very specific rules as to if and/or how much of a tax refund you can keep when you file a Missouri bankruptcy. It also depends greatly on which chapter you file. But understanding how the rules work and when they apply is important if you want an opportunity to keep the refund. When an individual (or married couple) files a tax return, the information you enter into the documents can very often result in the government refunding you a certain amount of money. This money represents the amount that you overpaid in tax deductions taken from your paychecks. The government then cuts a check to you personally, and you can do with it as you please. But you when you file for bankruptcy, the refund takes on a whole new significance. When you file a St. Louis Chapter 7 bankruptcy, a Trustee is assigned to your case. His/her function is to review your Schedules and documents to determine if there are any assets he/she can liquidate. Examples of this may be a car with a great deal of equity; a bank account with money above certain exemptions; settlement money you expect to receive from a personal injury suit; or tax refund money. When you file, it is your duty to disclose to the Trustee everything that you own, and everything that you anticipate owning in the near future. If it is close to tax time, and you anticipate a refund, then obviously you would have to disclose this as well. Depending on how large of a refund you expect, the Trustee may be demand a certain percentage by turned over to him/her once you receive it. There are exemptions that you can apply to the refund (if they are in fact available to you) which can reduce the amount that the Trustee can take. This may result in the Trustee getting a small portion of the refund, or nothing at all. On the other hand, it is also possible to eliminate the possibility of the Trustee getting any of the refund at all in your Missouri Chapter 7. So long as you are able to file your taxes first, receive the refund, and spend it, then filing the Chapter 7 afterwards won’t have an impact (since the refund will already be gone because you’ll have already used it). If the manner in which you used the refund was not frivolous (in other words, you didn’t just spend the entire amount at Best Buy on dvds), but rather was spent on things you need anyway (such as insurance costs, catching up on rent, mortgage, or car payments, or a new set of tire (to name but a few examples)), then you will be fine. In a St. Louis Chapter 13 bankruptcy, the Trustee will expect you turn over any tax refund you receive while you are inside the repayment plan (which will last between three to five years). The rules state that you get to keep $600 of any federal and state refund (combined), and the rest must be sent to the Trustee (who will then disperse the money to the creditors listed on your plan). There is, however, an opportunity to retain more than $600 of a tax refund in a Missouri Chapter 13 by filing a Motion to Retain. This motion asks the court’s permission to use more than the designated $600 on certain expenditures. So long as the requested amounts of money above the six hundred are to go towards non-frivolous items, the court will likely grant the request. Typical items would include things like repairs to your house or car, an unexpected medical or dental bill, or that ever-important new set of tires. The affordable St. Louis bankruptcy attorneys at Brinkman & Alter, LLC have been making sure that our clients are given the fullest benefit of our knowledge for years. 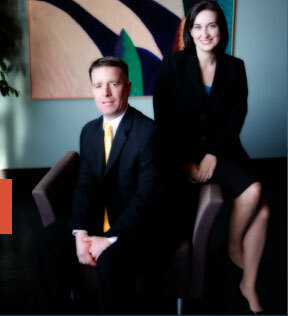 We specialize in providing the best and most expert advice you can receive in the area of bankruptcy. All phone conversations and office consultations are free of charge.